Founded in 1971 the Australian Finch Society caters for those who keep breed and exhibit the native Australian Finches and the various Parrot Finches. By becoming a member of the Society you will join an international membership who have a specific interest in the Grassfinches of Australia and Parrot Finches of the Pacific Islands. Membership entitles you to receive the society's magazine The Grassfinch which contains tips and hints from members around the world. The content ranges from tips passed on by the more experienced members, to personal experiences from first time breeders and articles written specifically with beginners in mind. 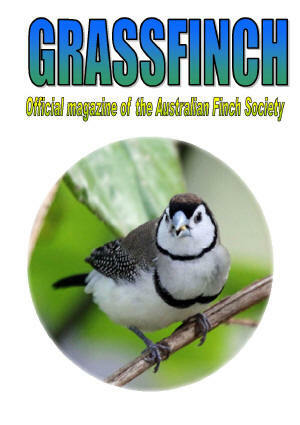 The Grassfinch is regarded by many to be amongst the best society magazines available. If you are interested in joining the society please click on Application Form linkon this page. The document is a PDF which you can view using Adobe Reader. A.F.S c/o Mr J Richards. Membership runs for one year from the 1st December until the 31st November, not a calendar year from the date you join.